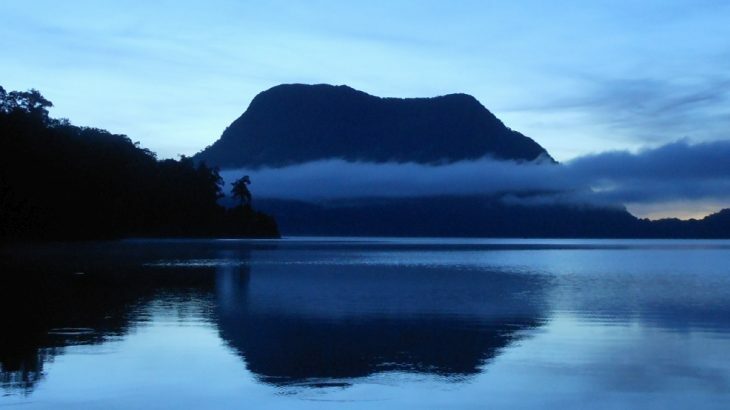 This mountain has a large lake, Danau Gunung Tujuh, which is the highest of its size in Southeast Asia. It has seven peaks (hence the name) of which only three have been climbed, according to Wikipedia, and are presumably the remains of an ancient crater rim. The highest peak is known locally as Gunung Jujuhan (by Pak Subandi, for example) but is listed on certain local maps as Gunung Hulupura. 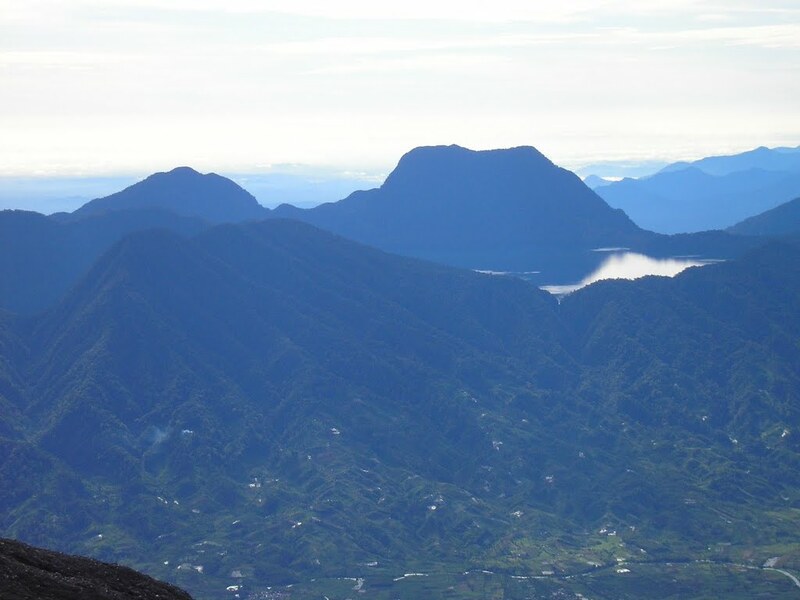 When seen from neighbouring Gunung Kerinci, the huge, deep lake itself looks as if it is rather precariously held back from overflowing down the mountainside. The hike to the lake itself is popular with foreign tourists, domestic tourists and local high school students, and takes around three hours from the trailhead (which is itself less than 10km from the Kersik Tua homestays). From the prominent and rather grand trailhead (1,400m) – which is 2 km from Pelompek – a farm track snakes its way up the hillside past a few derelict cement buildings and a couple of Kerinci-Sebalt National Park signs. When you reach a small bridge over a river on your left be sure to continue straight up the track rather than turning onto the bridge. The trail gets a little vague as it skirts the edge of a field before entering the forest proper. The forest here is home to all sorts of creatures including monkeys and gibbons (such as siamangs). After about 3 hours in total you will have reached the crater rim (2,112m) from which point you can glimpse the lake itself down below. The track drops down rather steeply to the left for 120 metres or so (the lake is at an elevation of 1,992m and up to 200 metres deep in the middle). The trail brings you out at the corner of the lake next to a couple of large rocks suitable for sitting on and about 3 camping spaces. There are often one or two dugout canoes left at the side of the lake by fishermen (a small number of people actually live a very simple life in huts dotted around the side of the lake). The best camping spot is actually about five minutes walk around the lake in a clockwise direction, but take extra care as this requires you to get across tree trunks placed half in the lake just metres away from a vertical drop where the water from the lake drops down to form what must be a stunning waterfall when seen from below. You certainly wouldn’t want to get swept over the side! The camping spot is big enough for 4 or 5 tents and is next to a small mountain stream which is a much better source of fresh water than the lake. In order to make an attempt on the highest peak itself (which is usually clearly visible about 4 kilometres away on the far side of the lake) you need to get a ride in a dugout canoe from the fishermen over to a place called Pasir Putih (‘white sand’). This takes about 90 minutes and you should pay no more than 75,000 each way. Each dugout canoe is small and can fit no more than 4 people (including the boatman himself) safely. Wear plenty of suncream as you can burn very easily when making the crossing. Pasir Putih is not quite as good as it sounds, offering just pale, dirty rocks under the water. A guide is absolutely essential from this point as very few people other than occasional hunters go into the forest here so the trail is normally very overgrown. It is also very muddy, home to leeches and lots of mosquitoes. However you may be lucky to see some very rare wildlife as sun bears and tapirs live here, in addition to a large number of bird species. After an hour of trudging through swampy ground, the faint trail leads upwards out of the mosquito and leech zone before reaching a minor, unsignposted junction. To the left is the second highest peak in the range which is known as Gunung Terbakar (‘burnt mountain’). Take a right here and follow the trail up a steep narrow ridge onto Gunung Kecil (‘small mountain’). This area is a good place to look for pitcher plants and from the higher slopes you will glimpse the lake way down below. 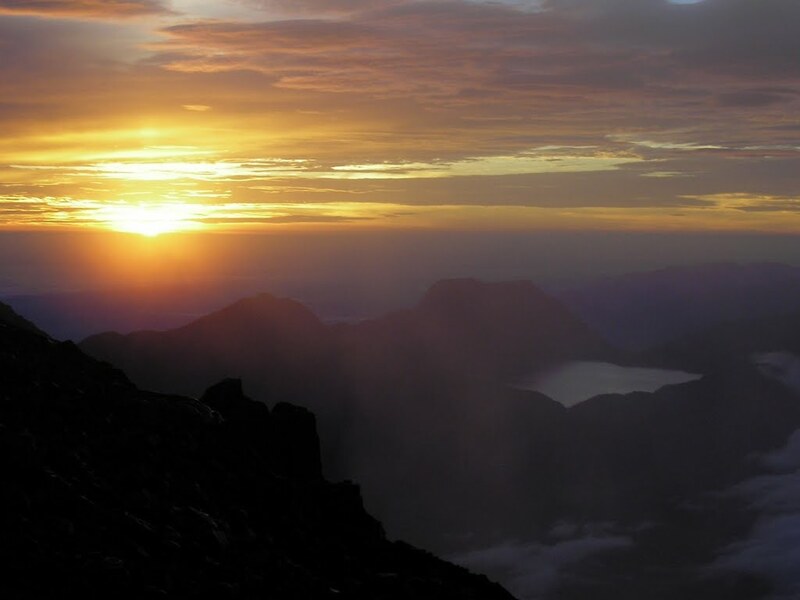 Gunung Kecil is about 2,300 metres tall and has two peaks of a similar height. The first one you reach has a small sign nailed to a tree by a local hiking club. The trail on to the second peak is a little tough to negotiate – lots of clambering over logs and avoiding sheer drops. From the second peak you can see the steep, imposing face of the highest mountain of the Gunung Tujuh range but it still lies about 2 kilometres away and through dense, rarely penetrated forest. Even if you did have an extra day or two to attempt it, the steepness of the peak looks rather daunting. A much easier approach would be from the back side (rather than from the lake side) along a much less steep ridge which is visible from Gunung Kecil. However, chances of there being a route up that side are not so high given the remoteness of that side of the range. Apparently the highest peak has only even been climbed once due to its steepness, by an English photographer named Jeremy Holden although it is unclear whether he climbed this peak or Terbakar (which looks a lot easier). After you have made your attempt on the highest peak (or just enjoyed a distant view) you can return across the lake before dark to enjoy what is a truly idyllic spot. Your guides may even catch you some of the many freshwater crabs that flourish close to the shore. The trek back up to the rim then down to the trailhead takes about 2 and a half hours. Getting there: There are regular flights to Padang’s International airport from Indonesia and neighbouring countries. It is then a long 6-8 hours drive to the starting point. There is public transport but it will take you a whole day. If travelling from the south it takes around 6 and a half hours from Bangko or 1 and a half hours from Sungai Penuh. Try Oki transport who hire cars (both shared and private) between Sungai Penuh and Bukittinggi. 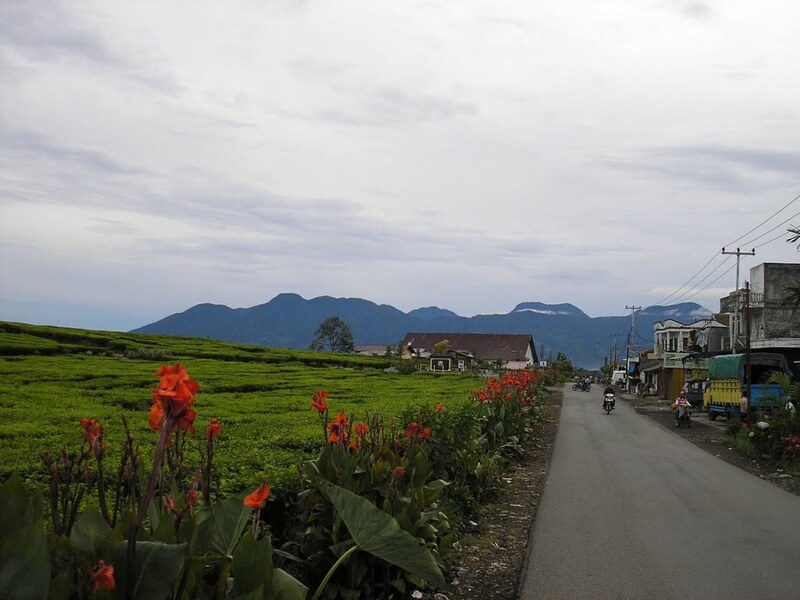 From Kersik Tua, head down to Pelompek (8km) where there is a sign for the turning to Gunung Tujuh. Permits: Available from the homestays in Kersik Tua for Rp20,000 per person (2013) – take a photocopy of your passport photo page. If you need to arrange a boatman in advance try Sahril on 085380974190 (note these are very basic dugout canoes). Water sources: The lake itself is the obvious source of water and a stream flows into it at the recommended camping spot about 5 minutes clockwise round the edge of the lake. ‘Seven’ in Indonesian, referring to the seven peaks of the mountain. Spent a marvelous 2 day/1 night on Gunung Tujuh. Angkots run from Sungai Penuh to Pelompek (roughly 20 minutes past Pak Subandri’s homestays and the entrance to Gunung Kerinci) for roughly Rp. 25.000/person. About a 2 hour drive. We walked from the main road the 2 km to the entrance gate. Transportation can be found but you’ll wait longer than the walk would take. The hike was a quick 2 hours up and roughly the same time down. It’s a steep hike but with plenty of tree roots for footing. No need to use hands here. The beauty of the lake along with the shortness of the hike necessitate bringing some Bintang up with you. Waking clockwise around the lake brings you to a great campsite (just past a small stream). A rough trail runs along the lake though would take some bushwhacking skills to successfully navigate. A wonderful spot to spend a night. The only downside is that Gunung Kerinci is only visible from the center of the lake (200 m deep). Hire one of the boatmen for this view! The student hiking club from UNJA (Jambi University) seemed manage to climb to the true peak of Gunung Tujuh and Gunung Hulu Jujuhan. Definitely they had to use climbing equipments (rope, ascender, descender, etc.). And the trail itself is nearly 90 degrees. However, lots of points to place climbing equipment and safety points. It won’t be possible to scale this peak alone. A team of three persons will be needed to scale this peak. After thinking better of trying to summit Mount Kerinci during the rainiy season (described as the months endding in -er), I chose an alterntive to climb to shores of Mount Tujuh Lake. I was helped by David at wildsumatra.com, who met me at my hotel in Sungai Penuh for a 7:45 AM departure. We arrived at the turnoff for Genung Tujuh in Pelompek by 9:00AM, where we met the local guide, Ian. He’s an excellent guide, of friendly temperment and was very knolwedgable of wildlife on the trail. After a quick ojek ride to the entrance to the park, we were at the trailhead and climbing before 10AM. The clouds had already obsured a view of Mount Kerinci. We encountered rain 2 hours into our climb, donned our raingear, and continued the steep, steamy climb covered in plastic as the rain poured on us. The rain ceased to fall as we unexpectedly reached the rim, which I only recognized as the rim because the trail started a rapid descent. Within 15 minutes of descent, we were at the lakes shore. Within minutes of arriving, the boatman, Syahril, arrived. While David negotiated the cost of using the Sampan, Ian recommended us to cross the fallen trees just above the roaring waterfalls. We sucessfully crossed that after a few close slips. and continued 10 minutes walk to the campsite noted above on the shore at the point where a stream flowed into the lake. The stream above the site is well worth exploring, whith many small waterfalls, rocks, and fallen trees that can be overcome to progress further up the clear stream. This was the best spot to enter deeply into forest. 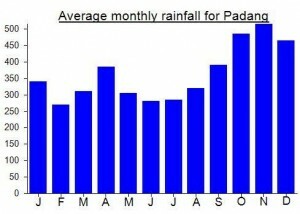 We did not see any wildlife due to the rainfall. The local boatman took us for one hour tour of the like in his sampan. This boat tour gave us our only view of Mount Kerinci through the notch in the crater wall where the water exits the lake. Caution should be taken when taking out the sampan because the weather and visibility can change quickly. At 7AM, skies were blue and the sun was already wam on our skin. 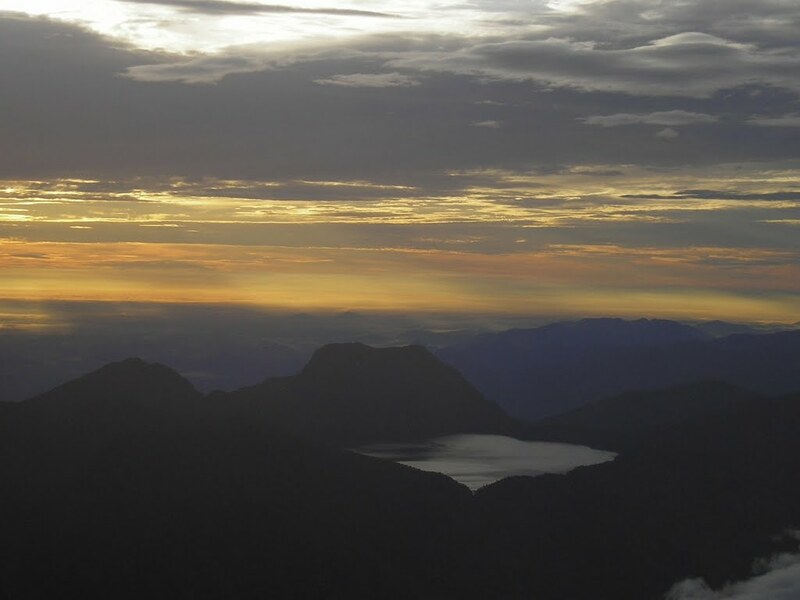 The mountain was clear to behold, and by 8AM it was already obscured by clouds on its summit, and by 9AM, clunds and mist had moved across the surface of Danau Tujuh so we could not even see the other side of the lake. On our return to our campsite, unexpectedly Syarhil directed us to his pondok, which was about one km further down the shore from our campsite. As we appreciated the view from the front of his humble shack, he smoked his kretek and told us he had moved his shack closer to the waterfall so that he could monitor the trailhead for vistors. He also recounted, to our suprise, that he was visited by a tiger the previous week, that he “shooed” away. True story, or an old man’s tall tale? It’s hard to say. We broke camp by 9:30AM and we were back at the bottom of the trail head in time for Friday noon prayers. A great hike, but maybe better taken during the dry season if one wants to see more wildlife. Many thanks to pitcher plant expert Alastair Robinson for identifying the Nepenthes I photographed on this mountain as Nepenthes aristolochioides. After the chaos of trying to arrange a hike to Gunung Masurai in Bangko, we headed north to Kerinci Lake and Sungai Penuh (about 160km from Bangko) for lunch (5 hours) before continuing on to Kayu Aro / Kersik Tua (another 1.5 hours). This cost about 725,000 in total (525 to SP and 200 on to KT). The relief of meeting the beacon of knowledge Pak Subandi again was enormous and we tucked in to the excellent meal provided by his wife. He had never tried climbing to the top of the true peak of Gn Tujuh but seemed quite keen to give it a go so the following morning we set off early in a chartered angkot to start the trek to Gn Tujuh (80,000 one way to the trailhead). Of course it was late by about an hour and a half and the boot wouldn’t open when we arrived but unfortunately you come to expect this kind of stuff on a daily basis in Indonesia. The views of Kerinci from the trailhead to Tujuh are perhaps the finest. Up in the forest we saw gibbons to the left and orange langgurs to the right. Local students were already down by the lake but we camped a few minutes walk away at a much nicer spot. One member of our group even went for a lunchtime swim. No boatmen were close to the shore but after a bit of whistling and waiting one chap arrived on a rather basic little sampan. I think I was the only one of our group happy or mad enough to travel across such a deep lake in such a basic vessel. As we had trouble finding a second in time to give everyone the chance of bagging the highest peak, I went alone with Subandi, the boatman and Subandi’s strong son Dwi who was one of our excellent porters. The following day we headed back down and had another great meal at Subandi’s homestay which I cannot recommend highly enough. The motorbikes out front are a little loud but the food, information, photos, prices and availability of Bir Bintang from the local shop are all very attractive indeed. 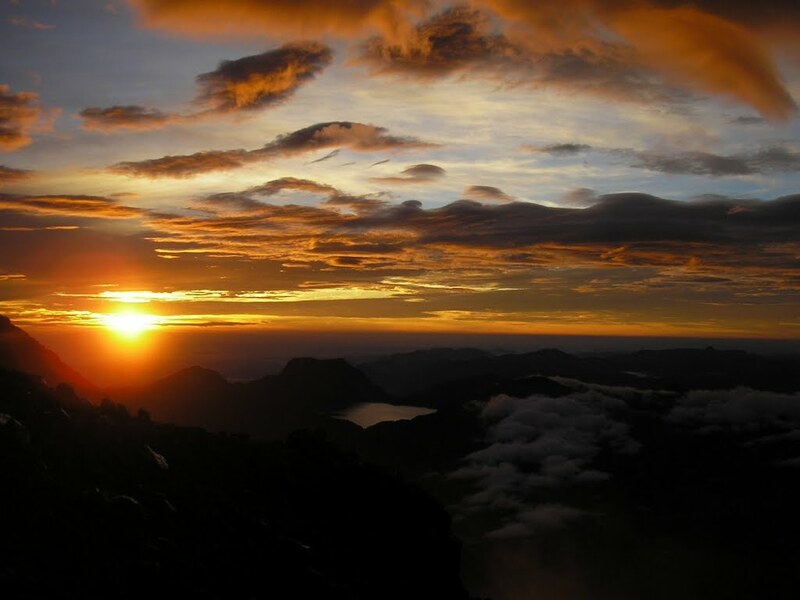 Even if you don’t want to attempt the true summit, the hike to the lake and one night camping is a much easier alternative to climbing Gunung Kerinci and could be done by fairly adventurous families even. Next time I hope to visit Danau Kaca/Kaco near Sunggai Penuh – a brilliant translucent blue pool. This just in from Debbie Martyr.